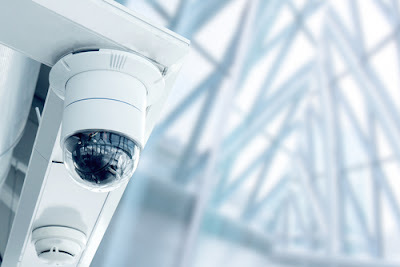 There are so many controversies which surround the use of CCTV cameras in offices. In as much as some may feel like their privacy has been compromised, CCTV cameras have become more of a necessity than a luxury. Installing CCTV cameras can help put in check petty theft and burglary at the office. Apart from helping with security issues, the use of CCTV cameras can also help increase productivity in employees. It will be hard for them to idle around knowing they are being watched. 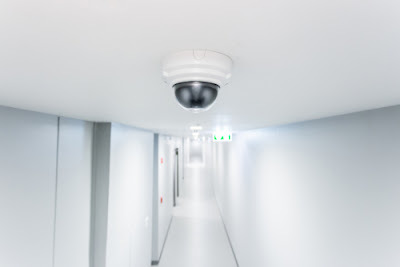 CCTV cameras can be placed at the corners or in the middle of the room. However, it is important to note that the angle which the camera is placed will affect the quality of the images captured. Sexual harassment at the office is not a rare occurrence and it should not be overlooked. Installing CCTV cameras can give employees especially the female employees a sense of security. The employees can relax knowing that nobody in their right mind would try to harass them sexually knowing that they are being watched. The cameras will inspire a feeling of safety and confidence. 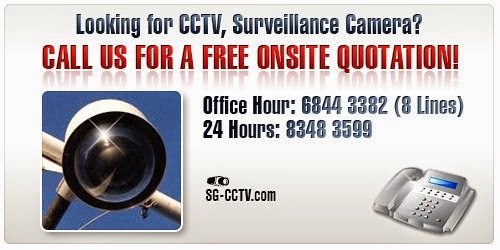 Office CCTV will help protect clients since any crimes against the clients will be documented. Their use also helps capture accidents that may happen at the work place. It is only logical to protect one’s business from both external and internal theft. It is not uncommon for businesses to fold up due to theft by employees. Installing office CCTV deters theft cases by employees. This is by them knowing that they are being watched at all times. Keeping an eye on the employees will help reduce or totally eliminate theft at the office. CCTV installation can help deter criminal activities at the office. However, some criminals may not be deterred by their use. In this event, CCTV cameras can be used to collect evidence. The use of these tapes can be used as solid evidence and they can be used to solve crimes. Their use may also help expose the criminals’ techniques which can be used to prevent crimes in future. Using office CCTV can help pin blame in an event there is a dispute at the workplace. The CCTV footages can be used to direct employees on the best way to handle disputes in the office. It is obvious every office has a sensitive area where sensitive and confidential documents are stored. Installating office CCTV cameras in such areas discourage unauthorized personnel from accessing such areas. Trade secrets and office records are better protected by the use of office CCTV installation. Also their use can be used to record evidence. Their use to document office records is more convenient compared to traditional methods of record keeping like magnetic tapes and VHS. It is not possible for business owners to be present at the office at all times. Having office CCTV cameras ensures that your customers are satisfied even during your absence. Satisfied customers mean good business and that’s why it is important to ensure your customers are satisfied always. The use of CCTV cameras at the office helps employers keep tabs on how the customers are treated. One can even watch recorded tapes to assess merit and employees’ performance. This will help employers take the necessary steps and increase the quality of the services and products they are offering. Employees are as important as the office assets and their security is paramount. 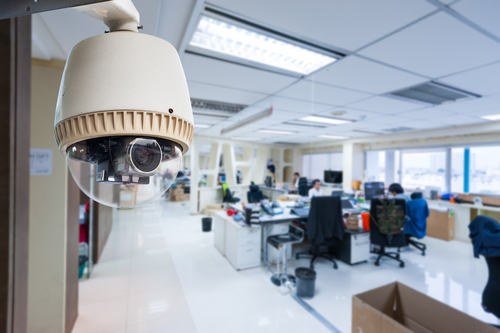 The use of office CCTV can help reduce attacks at the workplace by intruders or fellow workers. Also they can be used in settling disputes between employees and customers. Customers at times can be dealing with their own issues and decide to unleash terror on your employees or vice versa. Having CCTV camera footages can help solve these disputes as you will be able to know who the real offender is. It can help deter con artists who may want to take advantage of your business by seeking compensation for poor quality of services offered. Letting the customers know that there CCTV cameras installed could have fraudsters back down. Their use can help avoid unnecessary false lawsuits. It is true there are people who make a living by taking advantage of others. False lawsuits are quite common. Installing CCTV cameras in your establishment can help prevent these unnecessary lawsuits. It is also wise not to destroy camera footages since you may never know when you will be slapped with a false lawsuit. The use of office CCTV cameras should be mandatory especially for small businesses. Small offices and businesses are targeted by burglars since they are considered as easy prey by criminals. In the event that the office is attacked the investigators will use the footages to solve the crime. In addition, their use acts as a prevention mechanism to deter criminal from breaking into offices. The use of office CCTV cameras can be used to offer thorough security administration in a business environment. Governments and large property managing companies can get comprehensive security management by using CCTV cameras. The business owner may not need to be present at the office to handle the security situation. The use of CCTV cameras ensures that security issues are handled thoroughly. The office CCTV advantages clearly outdo any misgivings about office CCTV installation. In as much as the employees might feel that their privacy has been compromised, they stand to benefit a lot from having CCTV cameras installed in the offices. The assets, trade secrets, confidential information and staff will be equally secured by the use of office CCTV. Productivity is bound to increase when staffs know that big brother is watching them constantly. Using office CCTV can also help reduce unnecessary false lawsuits since the business will have a proper record of events. Office CCTV can also be used to document office records and protect the employees from attacks by intruders. Employers can use the camera footages to monitor employees which lead to customer satisfaction. They can also be used to resolve internal wrangles by colleagues.